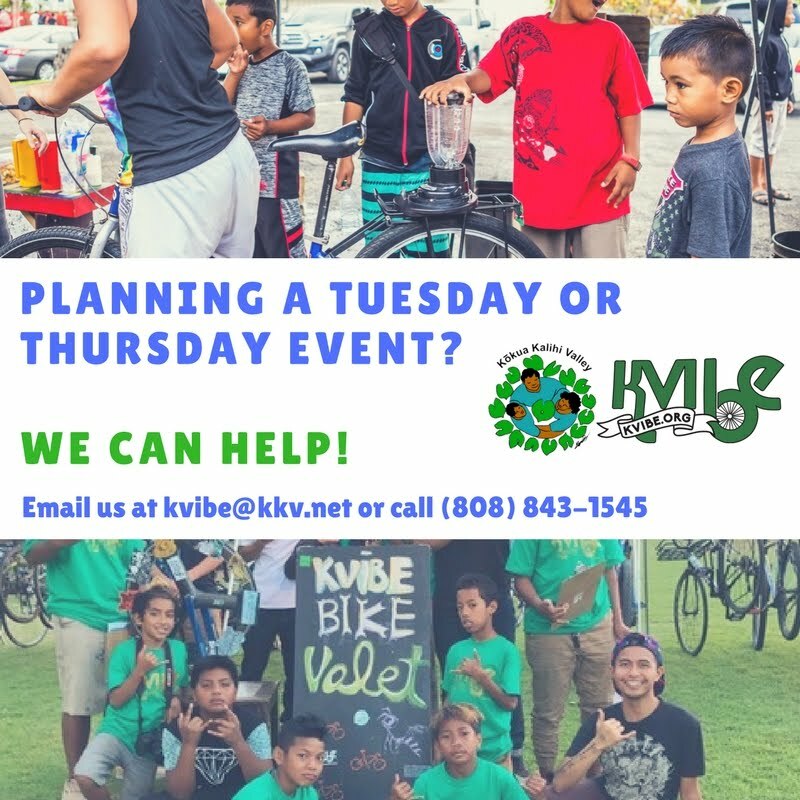 Kalihi Valley Instructional Bike Exchange (KVIBE): Ride VIBE! Bicycling Basics Workshop This Saturday! Ride VIBE! Bicycling Basics Workshop This Saturday! We hope you've been enjoying our Ride VIBE! workshop series every Second Saturday. Our next one is right around the corner. 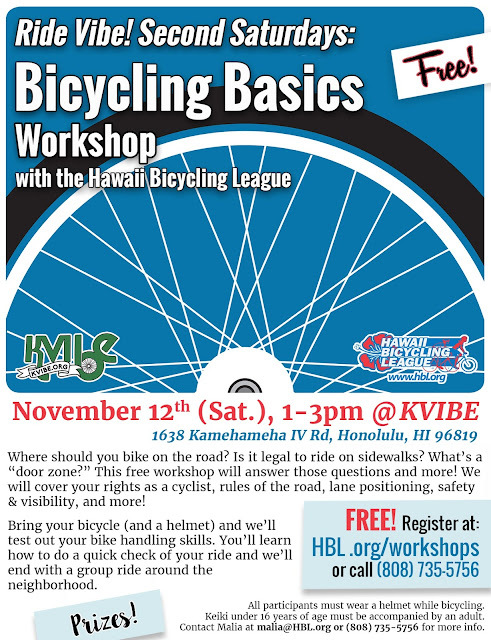 We'll be having Malia from the Hawaii Bicycling League come to lead an interactive Bicycling Basics Workshop! 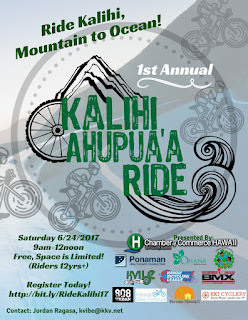 You'll learn how to bike safely and do a quick bike check before we go cruising around Kalihi Valley. It should be a fun afternoon! Register for this workshop by clicking here or stop by KVIBE if you'd like to register in person. Bring your bike and a helmet! Tell your family and friends! See you there!